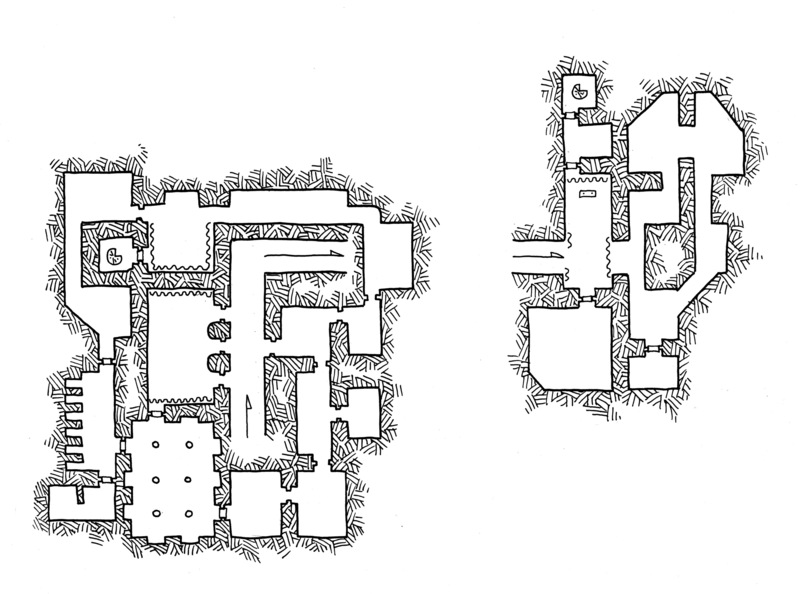 Part two of this week’s Asymmetric Temple map, these are the two underground levels of the temple where most of the actual service work of the temple takes place. At the bottom of the main ramp is the main service area on the left which is used for funerary rites and other obeisances to the death god (with the morgue just to the south of it, and the chief embalmer’s quarters on the lower left of the map just south of the temporary crypts). The right hand side of this level is mostly scribes and archives. The boring stuff that keeps a temple operational from day to day. The long 20′ wide room on the north side is a dormitory for apprentices and some guards who don’t have homes in the city next to a room used for quiet contemplation of death (and a concealed door behind the tapestries opening to the stairs that lead up to the upper level of the temple). The lowest level of the temple opens with a chapel behind which is a small store room with a small locked door that leads to another stairwell that leads up to a secret door in a small shrine just outside of the temple compound. But of course, the whole complex could be something completely different – this is just what I was picturing as I drew the various areas. 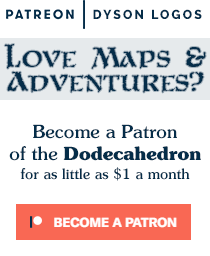 Once again, this map and the others like it are presented here free for your personal use thanks to the many awesome patrons like Christopher Weeks, Conor Haines, Dan Behlings and Dan Helderman who keep the site and maps coming thanks to their pledges to the Dodecahedron Patreon Campaign. If you like these maps and would like to see more of them and have the money to spare, please check out the campaign that keeps these free maps flowing to everyone. I think the whole asymmetrical thing would drive fully half the gamers I know insane.